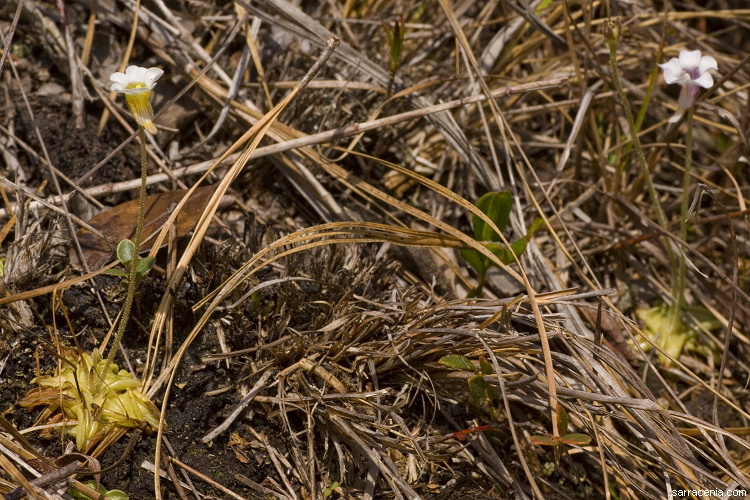 The Carnivorous Plant FAQ: Where do butterworts (Pinguicula) live? 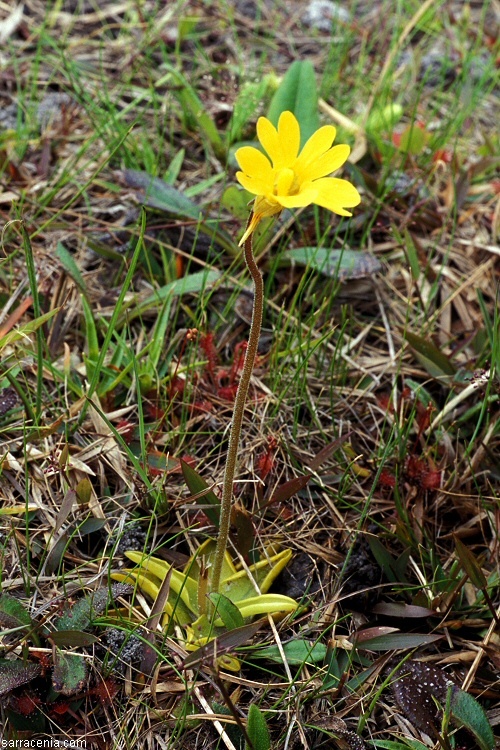 Q: Where do butterworts (Pinguicula) live? 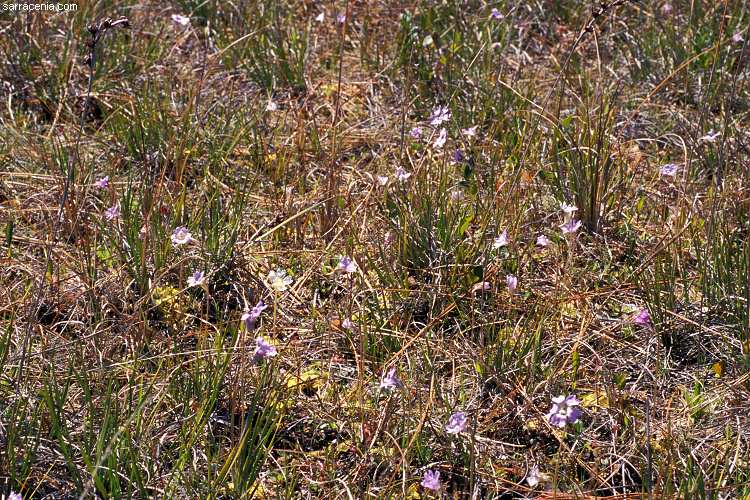 Pinguicula A: In Canada and the USA, there are nine Pinguicula (butterwort) species. As is the theme for carnivorous plants in Canada and the USA, the southeastern USA is the place to go to see many species Pinguicula. 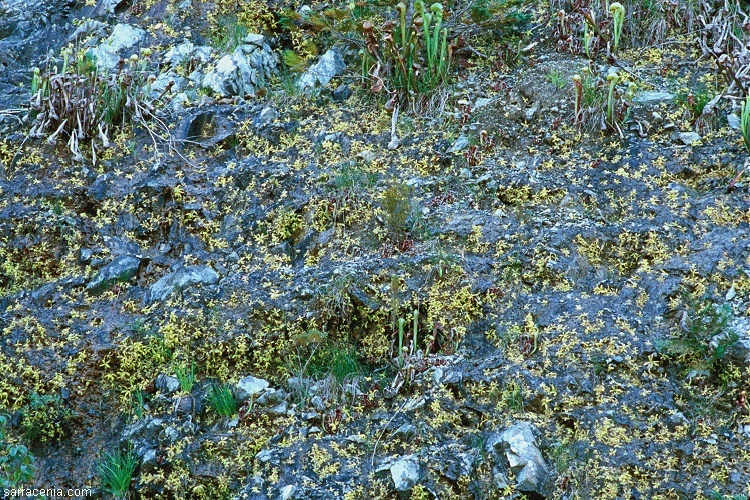 However, Pinguicula vulgaris is quite hospitable to our interests by occurring much farther north than most species, so if you are in the Great Lakes area you can look for it. USA: Florida, Georgia, N & S Carolina. USA: Louisiana, Mississippi, Alabama, Florida, Georgia, N & S Carolina. USA: Alaska, Washington, Idaho, Montana, Oregon, California. Canada: Yukon, British Columbia, Alberta. USA: Alabama, Georgia, Florida, Mississippi. USA: Texas, Oklahoma, Louisiana, Alabama, Mississippi, Florida, Georgia, N & S Carolina. Canada: all provinces except Alberta, New Brunswick, Newfoundland, Nova Scotia, Prince Edward Island. P.S. Sorry about the sloppy rendering of the northward edge of the Great Lakes---my maps didn't have those for some fool reason. As always, consider my range maps to be generalizations. Page citations: Lamb, R. 1991; Rice, B.A. 2006a; Roccia, A. et al. 2016; Rondeau, J.H. 1991; Schnell, D.E. 1976, 2002a; personal observation.